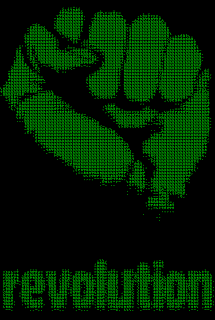 Uncensored News is celebrating it's 100th post by opening a new page, The Cyber Revolution. This page will rarely be updated, but is mainly made for ways you can help spread the truth to the people. "As many of my readers may know from my blog, Uncensored News, our government, in most countries, has been lying to us about practically everything. They do tests on us with our water and air, they poison us through chemtrails and genetically modified foods, they are chipping us and killing off the weak with the h1n1 vaccination, they are creating and spreading viruses, they are hiding cures for diseases and disorders, the list goes on far longer. During all this, most of us who know what is happening do nothing, the other 99% of the population is still oblivious to the truth. If all the population of America knew the real truth of what was happening, the government would not be able to put their ideas through. People would not be drinking tap water, watching TV, getting flu shots and eating genetically modified foods. They would demand real cures for diabetes and other diseases. 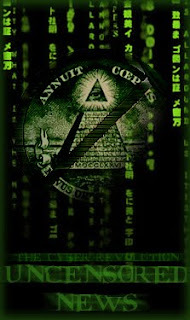 The New World Order would end and real order would begin, America would be free again and we would no longer have wars. No one would be brainwashed anymore. Yet that future seems far away now, or so it would appear. The first step we must take towards a brighter future is educating the masses with the truth." We also have an activism page for people who would like to post our banners on their page or profiles. If you do this, please email neo.1962@yahoo.com and I will link to your site. Thanks to all 2,400+ of my readers, please subscribe and comment. U.S. health authorities are turning to social networking sites such as Facebook and Twitter in a bid to prepare people to be vaccinated against the pandemic H1N1 virus. But efforts to distribute accurate information about the dangers of swine flu and the importance of vaccination are hampered by the sheer complexity of the message that the U.S. Centers for Disease Control and Prevention aims to convey. For a start, the vaccine will not be ready for widespread distribution until mid-October, after the traditional flu season has begun. The U.S. government hopes to target around 50 percent of the population for vaccination, focusing on key groups including pregnant women and healthcare workers. The New World Order has already begun, forced flu vaccination is starting next, afterwards food shortages and more nightmares including FEMA camps, more poisoning through air and water, tracking chips and more. The world has gone to hell and we are to blame for letting the powerful become even more powerful. It's time that something is changed before it's too late. Spread your knowledge as much as possibly. If you already have a blog or web page exposing the lies of the government than please keep up the good work, if not, start your own, but either way, link back to Uncensored News, even if your blog is not about politics. Email neo.1962@yahoo.com after linking for us to link back to you. When a lot of people are opposed to something, the government will usually not put their ideas through. With enough people protesting, striking and informing people of the truth, the government will not do whatever it is you are against. Remember, the first step is always knowledge. I am not suggesting starting a riot, but rather informing everyone of the truth. By linking to Uncensored News, people all over the world will know what is really happening, thus the Cyber Revolution begins. Anything you can do to expose the truth to as many people as possible (legally of course,) is highly recommended. Thank you for reading, please subscribe and comment. Keep reading for more information on The Cyber Revolution and how you can help. The United States of America is devolving into medical fascism and Massachusetts is leading the way with the passage of a new bill, the “Pandemic Response Bill” 2028, reportedly just passed by the MA state Senate and now awaiting approval in the House. This bill suspends virtually all Constitutional rights of Massachusetts citizens and forces anyone “suspected” of being infected to submit to interrogations, “decontaminations” and vaccines. If an individual is unable or unwilling to submit to decontamination or procedures necessary for diagnosis, the decontamination or diagnosis procedures may proceed only pursuant to an order of the superior court… During the time necessary to obtain such court order, such individual may be isolated or quarantined pursuant to section 96 of chapter 111 if his or her refusal to submit to decontamination or diagnosis procedures poses a serious danger to public health or results in uncertainty whether he or she has been exposed to or is infected with a disease or condition that poses a serious danger to public health. An order for isolation or quarantine may include any individual who is unwilling or unable to undergo vaccination, precautionary prophylaxis, medical treatment, decontamination, medical examinations, tests, or specimen collection and whose refusal of one or more of these measures poses a serious danger to public health or results in uncertainty whether he or she has been exposed to or is infected with a disease or condition that poses a serious danger to public health. There’s a lot more in this bill, including language that allows Mass. police to enter any home or building without a search warrant, to destroy any object or building they suspect may pose a threat to public safety, to order the closing and / or decontamination of any facility using highly toxic chemical decontamination agents, and to arrest, detain and interrogate anyone who gets in their way. Meanwhile, all state law enforcement and medical personnel are granted complete immunity from prosecution for their part in violating your Constitutional rights. So if they violate your right to due process, or they accidentally destroy your home, or they kill your family dog because they suspect it might be infected, you have absolutely zero recourse. Under this bill, Massachusetts becomes a medical police state. There is no debating it. It’s all written, clear as day, in this law: The citizens of Massachusetts will have no rights, period. The Constitution is ancient history. You are now the property of the State. Massachusetts, it seems, has never met a vaccine it didn’t like. This is the same state that rounded up the parents of schoolchildren who hadn’t been vaccinated, then corralled them into a courtroom (with attack dogs standing guard outside) and forced vaccine injections onto all the schoolchildren under the threat of jail time for parents who resisted. Remember, readers, that this is all taking place in the “land of the free,” a nation that former President George Bush claimed was so envied around the world that terrorists attacked America because they “hate freedom” and wanted to destroy our way of life. But terrorists need no help attacking freedom as long as Massachusetts is in the vaccine game, because this latest form of “gunpoint medicine” destroys freedom for everyday Americans in a way that terrorists could have never hoped to accomplish with all the bombs in the world. Massachusetts, it seems, has done what terrorists could not: It has turned “free” Americans into medical slave subjects who no longer have any freedom to decide the details of their own medical care. All options have been stripped from them but one: The Big Pharma option. That’s the one that involves using untested, unproven and potentially dangerous vaccines that could paralyze you or even kill you. All to defend you against a virus that’s so weak, almost anyone with decent levels of vitamin D and basic nutrition can resist the virus without incident. In 2006, former President George Bush signed into law the Public Readiness and Emergency Preparedness Act (PREP). It gives power to the Secretary of the U.S. government’s Health and Human Services department (HHS) to declare any infectious disease a “national emergency” and therefore require mandatory vaccination of the entire population. Because of the existence of this PREP Act, the entire population of the USA is now but one pen stroke away from being subjected to mandatory swine flu vaccinations at gunpoint. Those who resist such vaccines will be arrested and taken away for “isolation” in domestic prison camps. They can’t just leave vaccine refusers free to live among the population, of course, because that would send the message that anyone can refuse the vaccines without consequence. So they’ll arrest those who refuse the vaccine, labeling them “a threat to national security” (enemies of the state) and imprison them without trial, without charges and without any legal representation whatsoever. There are other laws already on the books that strip Americans of virtually all Constitutional rights in a “pandemic emergency” scenario. One such act is The Pandemic and All-Hazards Preparedness Act (S. 3678), which probably merits another article altogether. Have no illusions: At the stroke of a pen, the Constitutional rights of all Americans will be immediately suspended. Mandatory vaccinations and “decontaminations” will kick in and the mass arrest of resisters will begin. There will be no court, no trial, no jury and no due process. Your actions will be dictated to you by a law enforcement officer or a health care worker who has been granted complete immunity, so if you just happen to get kicked around a bit (or shot), there’s really nothing you can do about it. Some might argue these are necessary actions to save a nation from a deadly pandemic. And yet they forget that the pandemic has been intentionally allowed to worsen by censoring information about vitamin D and natural remedies that could stop it. Somebody at the top, in other words, wants this pandemic to get really bad, perhaps because it allows them to invoke precisely the draconian response I’ve outlined in this article. Seizing power in a Democracy cannot be accomplished by simply declaring war on the rights of the People. Rather, a situation must be engineered where the People are so desperate that they beg to be controlled. Releasing a pandemic into the wild is the perfect way to accomplish precisely that. None of these laws will be invoked before the vaccines are ready in large numbers, of course. Part of the purpose in all this is to prop up Big Pharma profits with massive vaccination efforts, so until the vaccines are actually available, don’t expect to see any declarations of a public emergency. It might take until October or November before the vaccines are readily available in sufficient quantity to inject just half the U.S. population. But once that milestone is reached, a declaration of a pandemic emergency is imminent. Trust me on this point: They won’t let all those hundreds of millions of vaccines sit around unused; they’ll make sure they get injected into the People as soon as possible, because that’s the only way to justify making more. #1) Waiting on vaccine manufacturing to procure at least 150 million doses in the U.S. Probable timeframe = October. #2) Hyping up a few local swine flu breakouts in schools in order to justify step #3. Probable timeframe = November / December. #3) Declaring a full-blown national emergency and announcing mandatory vaccinations for everyone (to use up the vaccines that are now available). Probable timeframe = January / February / March. 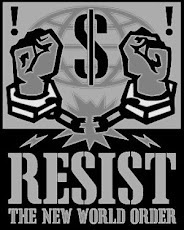 #4) If the disease continues to spread, this is when you’ll see forced entry into homes and buildings, forced “decontamination” sprayings, widespread arrests and forced quarantine of resisters, Martial Law and a complete crackdown on freedoms (especially in the inner cities). This will likely continue through the winter until Spring arrives, bringing the sunshine that will suppress the virus around the May 2010 timeframe. All this is written in black ink. It’s already part of the pandemic response plan. Body bags, FEMA camps and much more. Two years ago, this was all the domain of conspiracy theory “wingnuts.” Now it’s State law. Now it’s being openly discussed in security conferences and health care meetings. What will we do when the hospital beds are full? How will we accomplish the “involuntary transportation” of those who are infected? Are there enough zip-tie handcuffs to go around? How do we disarm and arrest citizens who refuse to be vaccinated? How do we prevent National Guard troops from becoming infected themselves? These are the questions circulating now at high levels, all across the world. And the answers are always the same: Abandon freedoms. Strip the People of any rights. Dictate from the top down and arrest anyone who gets in your way. Welcome to the Land of the Free. I hope you are prepared for what looks to be coming, because this isn’t America anymore, folks. This is Amerika, and the Constitutional rights you thought you had are about to be written right off the books. It is the latest step by the hermit North to end near complete isolation by the outside world over its months of military grandstanding, including a second nuclear test in May. But in a reminder of tensions on the peninsula, North Korea's KCNA news agency followed the report on the border deal with one warning of a "merciless and prompt annihilating strike," including nuclear weapons, if U.S. and South Korean military drills that started on Monday infringe on its sovereignty. The agreement to ease restrictions on the border, effectively closed since last December, and restart lucrative tourism to the North came during four-hour talks between the reclusive state's ruler Kim Jong-il and the head of the South Korean Hyundai Group. "(Kim Jong-il) said to tell him all that I wanted, so I did," Hyundai's Hyun Jeong-eun told reporters on arrival back in the South after her trip to Pyongyang, at the North's invitation, to seek the release of a worker detained for nearly five months for insulting the North Korean leadership. Hyun, who described the meeting over lunch on Sunday as convivial, said Kim also agreed to talks over the fate of four South Korean fisherman detained late last month after straying into North Korean waters. The Hyundai Group runs tourism to the North and operates the Kaesong industrial park just across the border and an important source of income for Pyongyang's leadership. The group is linked to one of the most powerful corporate families in South Korea, one of whose senior members is also a close political ally to President Lee Myung-bak. Hyun's visit followed hot on the heels of one earlier in the month by former U.S. President Bill Clinton, who also met Kim, to win the release of two jailed American journalists. Wu Dawei, the top nuclear envoy from China, the closest North can claim as a major ally, is planning to go to Pyongyang later on Monday in a bid to restart the six-country talks on ending North Korea's atomic ambitions, South Korea's Yonhap news agency quoted a diplomatic source as saying. "North Korea ... wants a better relationship with the U.S. In order for that to happen, they must have a well-established relationship with South Korea," said Cho Myung-chul, an expert on North Korea at the Korea Institute for International Economic Policy in Seoul. Relations between the two Koreas, technically at war for more than half a century, have become increasingly bitter after the South's conservative president took office 18 months ago, ending years of aid unless his neighbour gave up nuclear weapons. Analysts say tightened U.N. sanctions over its military provocations are starting to bite, especially its profitable weapons exports. Yang Moon-soo, a professor at the University of North Korean Studies, estimated that Pyongyang had earned about $30 million (18.3 million pounds) last year from its business with the Hyundai Group. "Although this might not look like a great amount to South Korea, it means a great deal to North Korea." Adding to the North's problems are reports that its 23 million population, routinely on the edge of famine, could be facing another poor harvest. North Korean state TV reported that flooding in recent weeks had damaged farmland. Though recent nuclear and missile tests have infuriated the international community, analysts say they have helped Kim's stature at home, notably with his hard-line military. North Korea's media has also been careful to portray both recent visits as tribute to iron leader Kim, 67, whose health is the subject of intense speculation and believed to be trying to ensure his youngest son becomes the third generation in the family to head the destitute communist dynasty. Tours across the Cold War's last frontier have ground to a halt last year and the industrial park itself has looked under threat as relations between the two, technically at war for more than half a century, have worsened. Under the latest agreement, land passage across their heavily armed border will be resumed, allowing normal traffic to the Kaesong factory park. They agreed that officials from both sides would start talks on resuming tourism to the scenic Mount Kumgang resort, halted a year ago after a North Korean soldier shot dead a tourist from the South who had wandered into a military area. Please subscribe and thank you for reading. Comments are highly encouraged. Please subscribe and thank you for reading. A Google News search this morning returns no mention of the Guillain-Barré Syndrome link to the experimental H1N1 vaccine in the U.S. media. The Times Online, Sky News, and the Daily Mail also ran stories on the warning. Alternative news sites in the United States reported on the link but the New York Times, the Washington Post, and other corporate media sources are silent as of this morning. 28,000 people in the U.S. will participate in a government trial of the experimental H1N1 vaccine. “Volunteers will be checked closely for any side effects. They’ll also be monitored for Guillain-Barre syndrome, which was reported in people who received a swine flu vaccine 33 years ago. It’s a rare syndrome usually triggered by a viral infection, and no one knows for sure if the vaccine is also a trigger,” KPBS reported on August 10. Adult volunteers for the clinical trials will be recruited at 8 separate sites including Emory University in Atlanta, the University of Maryland School of Medicine in Baltimore, Vanderbilt University in Nashville, Baylor College of Medicine in Houston, Children’s Hospital Medical Center in Cincinnati, Group Health Cooperative in Seattle, the University Iowa in Iowa City, and St. Louis University, Deborah Shlian reported for the Examiner on July 28. The initial tests will be of vaccines made by Sanofi-Pasteur, a European company, and CLS Biotherapies, an Australian company that has supplied seasonal flu shots in the U.S. for years. Novartis is also conducting separate trials for FDA licensing. Doctors have been put on alert for cases of a nerve disease following the introduction of a vaccine for swine flu, it has emerged. Health chiefs said there was an increased risk of developing Guillain-Barre syndrome after a flu-like illness, but stressed there was no evidence linking it to the vaccination. The syndrome, which affects about 1,500 people a year in the UK, attacks the nervous system and can result in temporary paralysis. Its exact cause is unclear but many people affected by it have had a viral or bacterial infection a few weeks earlier. A Health Protection Agency (HPA) spokesman said enhanced surveillance was "routine" when introducing a new vaccine. More than 13 million people in the UK, including people with asthma, diabetes, heart disease, renal disease or with a compromised immune system, will get the jab from October. 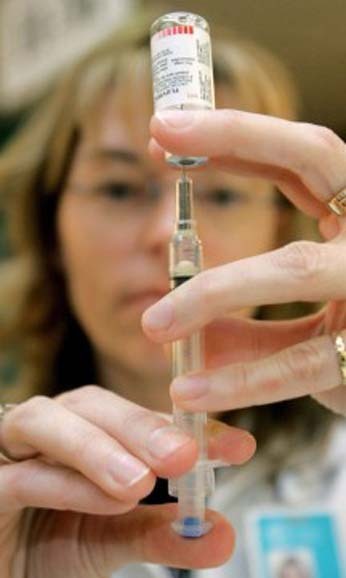 It is anticipated the normal seasonal flu vaccine may be given at the same time. The spokesman said: "Guillain-Barre syndrome has long been identified as a potential adverse event that would require enhanced surveillance following the introduction of a pandemic vaccine, but there is no evidence to suggest there is an increased risk of Guillain-Barre syndrome from this vaccine. "There is robust evidence that no increased risk of Guillain-Barre syndrome arises from seasonal flu vaccination. "Establishing enhanced surveillance on Guillain-Barre syndrome has always been part of our pandemic plan because there is an increased risk of this disease after a flu-like illness. "The HPA is working in collaboration with the Association of British Neurologists Surveillance Unit (BNSU) and the British Paediatric Surveillance Unit (BPSU) who will ask clinicians to report each month whether they have seen any cases of Guillain-Barre syndrome." According to a story (http://ow.ly/jPVM) linked from http://twitter.com/TexasGuard, one Soldier tells a story of being proud to join such a historic event. Members of the Texas Guard will be sent to Iraq just in time for their 2010 elections. Such a large deployment of the National Guard has not taken place since WWII. I found this a bit shocking considering the President’s promise to remove our troops from Iraq as quickly as possible. Why then are we deploying the most troops since WWII? I decided to check regarding other National Guard units. A quick search of ‘national guard historic deployment’ yielded countless results. It seems almost every state is or will be participating in sending a “Historic” amount of troops to Iraq. “The most since WWII”, several sources are quoted. From the list, it appears that they have been staggering each states deployment slightly, but slowly moving them all to Iraq. Texas will begin deploying it’s Guard forces in August 2009. I find myself wondering why in the world we are shipping out all of our Guardsmen to Iraq, at a time when Northcomm is annoucing deployment of an additional 20,000 soldiers here at home to help with domestic terror and civil insurrections. Shouldn’t the National Guard (if any of the branches) be responsible for this kind of thing; and then, only at the Governor’s beck and call. Does any of this have to do with the recent battles the states governors have been having with the Federal government regarding control of the local Guard forces? If the Governors are saying “No thank you.” and trying to keep control of their own states Guard, then why now are they being sent overseas? What could be so important. NOTE: DO NOT USE GOOGLE WHEN RESEARCHING, THEY CAN TRACK YOUR INFORMATION. SEE MY OLD POST FROM JULY ON THE DANGERS OF GOOGLE. Please subscribe and comment. Thank you for reading. Missed payments by consumers, builders and small businesses pushed 72 lenders into failure this year, the most since 1992. More collapses may lie ahead as the recession causes increased defaults and swells the confidential U.S. list of “problem banks,” which stood at 305 in the first quarter. Nonperforming loans can eat into a company’s earnings and deplete cash, leaving banks below the minimum capital levels required by regulators. Three lenders with nonaccruing ratios of at least 6.2 percent as of March were closed last week. In addition, Chicago-based Corus Bankshares Inc., Austin-based Guaranty Financial Group Inc. and Colonial BancGroup Inc. in Montgomery, Alabama, each with ratios of at least 6.5 percent, said in the past month that they expect to be shut. “This is a fairly widespread issue for the larger community banks and some regional banks across the country,” said Mix of LECG, where William Isaac, former head of the Federal Deposit Insurance Corp., is chairman of the global financial services unit. Ratios above 5 percent don’t always lead to failures because banks keep capital cushions and set aside reserves to absorb bad loans. Banks with higher ratios of equity to total assets can better withstand such losses, said Jim Barth, a former chief economist at the Office of Thrift Supervision. Marshall & Ilsley and Synovus said they’ve been getting bad loans off their books by selling them. Bloomberg’s list was compiled by screening U.S. banks for nonperforming loans of 5 percent or more, and then ranked by assets. The list excluded U.S. territories and lenders that have already failed. Also left out were the 19 lenders that underwent the Treasury’s stress tests in May; they were deemed “too big to fail” and told by regulators that government capital was available to keep them in business. About 2.6 percent of the $7.74 trillion in bank loans outstanding in the U.S. at the end of March were nonaccruing, the highest in 17 years, according to the most recent data from the FDIC. Nonaccrual loans peaked at 3.27 percent in the second quarter of 1991, during the savings and loan crisis, and averaged 1.54 percent over the past 25 years. “These numbers are off the charts,” said Blake Howells, an analyst at Becker Capital Management in Portland, Oregon, referring to the nonperforming loan levels at companies he follows. Banks are losing the “ability to try and earn their way through the cycle,” said Howells, who previously spent 13 years at Minneapolis-based U.S. Bancorp. Corus, with more than two-thirds of its loans nonperforming, has the highest rate among publicly traded banks. The company said last month that it’s “critically undercapitalized” after five consecutive quarterly losses tied to defaults on condominium construction loans. Randy Curtis, Corus’s interim chief executive officer, didn’t respond to calls for comment. Marshall & Ilsley, Wisconsin’s biggest bank, reduced its nonperforming loans last month to 5.01 percent from 5.18 percent after selling $297 million in soured loans, mostly residential mortgages in Arizona, the Milwaukee-based company said Aug. 10. The bank has “been very aggressive in identifying and tackling credit challenges,” Chief Financial Officer Greg Smith said in an Aug. 12 interview. Smith said 26 percent of loans classified as nonperforming are overdue by less than the industry’s typical standard of 90 days. With those excluded, the ratio would be around 3.7 percent, he said. Flagstar is based in Troy, Michigan, the state with the nation’s highest unemployment rate. Flagstar has $16.4 billion in assets and reported last month that 11.2 percent of its loans were nonperforming; about two-thirds were home mortgages. Flagstar CFO Paul Borja didn’t return repeated calls for comment. The bank’s allowance for loan losses was 5.4 percent of total loans at the end of the second quarter, compared with 3.3 percent at Synovus and 2.8 percent at Marshall & Ilsley, according to company filings. All three reported at least three straight quarterly deficits. The FDIC doesn’t comment on lenders that are open and operating and doesn’t disclose which banks are on its problem list. The agency will probably impose an emergency fee on the more than 8,200 banks it insures in the fourth quarter to replenish the insurance fund, the second special assessment this year, Chairman Sheila Bair said last week. The FDIC attempts to sell deposits and assets of seized banks to healthier firms to avoid eroding the fund, said agency spokesman David Barr. To determine which banks are most troubled, regulators compare the ratio of nonperforming loans to the percentage of equity a firm has relative to its assets, said Barth, the former OTS economist. A company with 5 percent nonperforming loans and equity of 8 percent is better positioned than one with the same amount of troubled loans and equity of 4 percent, he said. Flagstar’s equity-to-assets ratio in the second quarter was 5.4 percent, Synovus’s was 8.9 percent and Marshall & Ilsley, which raised $552 million through a stock sale in June, was at 11 percent, according to the banks. The three lenders that failed last week -- Florida’s First State Bank and Community National Bank and Oregon’s Community First Bank -- all had nonperforming loans above 6 percent and equity ratios below 4.5 percent. While 5 percent can be “fatal” for home lenders, commercial real estate lenders may be able to withstand higher rates, said William K. Black, former lawyer at the Federal Home Loan Bank of San Francisco and the OTS. Commercial loans carry higher interest rates because they’re riskier, he said. WASHINGTON — The United States is resuming a combat training mission in the former Soviet republic of Georgia to prepare its army for counterinsurgency operations in Afghanistan, despite the risks of angering Russia, senior Defense Department officials said Thursday. The training effort is intended to prepare Georgian troops to fight at NATO standards alongside American and allied forces in Afghanistan, the Pentagon officials said. Russian officials have been informed, American officials said. The training should not worry the Kremlin, they said, because it would not involve skills that would be useful against a large conventional force like Russia’s. At the same time, officials in Washington said, the Georgians should not see the new training mission as a military counterweight to Russian influence along Georgia’s borders and within the separatist regions they fought over. A year ago, the republic’s brief, disastrous war with Russia froze a similar American training operation that prepared Georgian troops for deployments to Iraq. The new training mission is scheduled to begin Sept. 1. The first members of a Marine Corps training and advising team are to arrive in Georgia on Sunday or Monday, and the number of trainers will fluctuate between 10 and 69 over the next six months. Georgia has pledged an army battalion — about 750 troops — to Afghanistan, and it should be ready to deploy next spring, perhaps by March. It is unlikely that Kremlin officials could offer a convincing argument that training a single Georgian Army battalion amounted to a threat to Russian security. But the new training could be seen as a launching pad for increased military relations among Washington, NATO members and a former Soviet republic that aspires to NATO membership. The Kremlin vehemently opposes any extension of NATO’s defensive umbrella over former Soviet republics, in particular Georgia and Ukraine. At the same time, some NATO officials view Georgia’s behavior before the war last year as needlessly provocative, and have said it harmed the country’s chances for alliance membership. Shortly after taking office, President Obama ordered the doubling of American forces in Afghanistan, to about 68,000, and the administration has sought, with little success, to persuade NATO allies to add to their combat forces. In contrast to some NATO allies that impose restrictions on where their forces can go and what they can do in Afghanistan, the Georgian military will send its troops with none of these so-called caveats, a decision viewed by American officials as intended to indicate Georgia’s worthiness for potential alliance membership. Officials said Georgia’s troops would probably be assigned to operations in areas of Afghanistan under Marine command, so the training mission begins that partnership. The United States has so far rebuffed requests from Georgia to rearm its military after its humiliating defeat by Russia. When the war began, Georgia recalled an army brigade serving in Iraq and never sent it back, and the Americans training the Georgians returned home. Georgian troops that join the Afghan mission will bring their own small-caliber weapons, but the United States and other allies will supply vehicles, including armored transports, as well as logistical support and daily supplies, according to senior Defense Department officials. Any weapons provided to the Georgians would stay in Afghanistan, the officials said. Some military ties between the United States and Georgia resumed after the war with Russia, but they focused on officer development, improvement of command-and-control systems, and other such areas, officials said. There have been visits by senior American military officers and government leaders — most recently Vice President Joseph R. Biden Jr. — and NATO has conducted some military exchanges. Administration officials familiar with discussions with Russia said American officials emphasized that Russia had endorsed the international security assistance mission in Afghanistan. For example, Russia allows overflight rights and land access for the coalition supply mission for Afghanistan. Thank you for reading and please subsribe. WASHINGTON — The Pentagon presented a grim portrait of the Afghanistan war Thursday, offering no assurances about how long Americans will be fighting there or how many U.S. combat troops it will take to win. Defeating the Taliban and al-Qaida will take "a few years," Defense Secretary Robert Gates said, with success on a larger scale in the desperately poor country a much longer proposition. He acknowledged that the Taliban has a firm hold on parts of the country President Barack Obama has called vital to U.S. security. Congress wants answers to what lawmakers described as basic questions to soothe a war-weary American public. "In the intelligence business, we always used to categorize information in two ways, secrets and mysteries," Gates, a former CIA director, told a Pentagon news conference. He added: "Mysteries were those where there were too many variables to predict. And I think that how long U.S. forces will be in Afghanistan is in that area." With 62,000 U.S. troops already in the country, and another 6,000 headed there by the end of the year, Gates suggested there is little appetite in Washington to add many more. He said his top commander in Afghanistan, Gen. Stanley McChrystal, is free to ask for whatever he needs, but Gates said when the general submits a revised war plan in the coming weeks it will not contain a request to expand the U.S. fighting force. McChrystal is expected to identify shortfalls that could be filled by U.S. forces, but a formal request would come only later. The White House has made no secret of its skepticism about further troop additions in Afghanistan, and Gates said Thursday he still was worried that too many American forces could turn Afghans against those trying to help them. Obama has made Afghanistan one of his top foreign policy priorities. But his administration is grappling with refocusing on Afghanistan, which the U.S. invaded in October 2001 to hunt for Osama bin Laden, while disentangling 130,000 American troops from Iraq. In a report released earlier this week, the Senate Foreign Relations Committee warned the Obama administration that unanswered questions about lingering U.S. involvement in Afghanistan could frustrate the public. "The administration has raised the stakes by transforming the Afghan war from a limited intervention into a more ambitious and potentially risky counterinsurgency," the Senate report concluded. "These core questions about commitment and sacrifice can be answered only through a rigorous and informed national debate." Committee Chairman Sen. John Kerry, D-Mass., cited "risks and rewards associated with our increasing commitment to the war in Afghanistan." As the fight moves toward its ninth year this fall, Gates said allied forces must show this year that they are turning the tide. "It's just not possible to predict specific periods of time when you're in a conflict like this, where ... the enemy has a vote and where there are so many variables," Gates said. Appearing alongside Gates, the nation's second-highest ranking military officer agreed there is no date certain for an exit. Joint Chiefs Vice Chairman Marine Gen. James Cartwright said he is looking for evidence of U.S. and NATO troops increasingly turning security missions over to Afghan forces as a sign of when Americans might ramp down their presence. "When you start to see that attitude change, then you start to have a sense that things are going to move in a direction that would be towards the end of the violence side of this equation," Cartwright said. The Senate report also noted the wide-ranging timeline for U.S. troops in the fight cited by unidentified military leaders, policy-makers and outside experts around Washington: anywhere from two years to over a decade. "None of the civilian officials or military officers interviewed in Afghanistan and elsewhere expected substantial progress in the short term. They talked in terms of years two, five and 10," the report noted. The varying timelines, in part, may reflect politics. Capitol Hill has grown wary of approving annual war chests after years of ever-increasing costs for Iraq. Obama has asked Congress for $68 billion next year to fund defense spending in Afghanistan. The U.S. ambassador to Afghanistan, Karl Eikenberry, recently asked for another $2.5 billion in nonmilitary spending, The Washington Post reported this week. Military officials believe the Afghanistan mission can only succeed if troops are there far longer – anywhere from five years to 12 years. Cartwright suggested that some changes will be needed "pretty soon." "The IED fight is pretty lethal," Cartwright said, referring to improvised explosive devices left on roadsides which are now the cause of the majority of U.S. and NATO deaths. Last month 49 coalition troops died in bomb attacks, a more than six-fold increase from the eight killed in roadside and suicide bomb attacks in July 2008, according to U.S. figures. I felt that after posting so many articles (over 85) about the government and how easily they can control the masses and brainwash them, I should let you know that just by reading information such as the kind you find on this blog you are already out of the herd. You are no longer one of the sheep that make up over 99% of the world. No matter what the government does to us, we still have our brain, our thoughts, our opinions and most of all, our souls. The quest for knowledge is a seemingly endless one, but the long path has a beautiful end, an end were the evil is no longer in power. I strongly encourage you to do more research than just this blog, learn all you can, do whatever you can, be non-conformist and change this world. One person can make a difference and all it takes is one person to help save this world. Remember, violence is never the answer, but if you want the world that hasn't been seen for so many generations to be back in proper order, we need to change the system, or rather, free ourselves from the system. The governments are all working together, no matter what country you are in you are never safe, but think of it this way, there are more of us than them. The rich need us to work for them, without us, they would starve. Who would stimulate the economy if not us? Currently the government is pushing their H1N1 Flu Vaccination on us, soon to be mandatory, we need to put a stop to this, and the first step is knowledge. Please, continue reading this blog daily for more information on what you can do to save you country, remember, 'You Are Not a Slave' no matter what you have been taught, no matter what has been taken from you, no matter what you feel to be missing, you will always have your mind and soul, and nothing, not even their GWEN Towers or flu vaccines will ever take them from you. Please subscribe and comment, thank you for reading. Please remember, Knowledge is Power. It's not often that a balloon makes people feel uncomfortable. But the inflatable aircraft that has been floating above the St. Clair River in recent weeks, across the border from Sarnia, Ont., is no ordinary balloon. Officially, the "balloon" is called an Aerostat. It's a Helium-inflated aircraft that looks like a flying wing, and had been floating between 150 and 300 metres above the ground in Port Huron, Mich., since the end of last month, until a storm damaged its fabric and it was taken down for repairs. The company that owns it, Sierra Nevada Corporation, reportedly wants to test out the new technology to see if it can sell it to U.S. Homeland Security for use as a patrolling device. But Bradley M. Lott, a retired U.S. Marine Corps major general who is running the Aerostat testing in Port Huron, said the company's plan is to see what the aircraft can do and how it can be used in a variety of situations -- including for use in rescue operations after natural disasters or airline accidents. Lott said the Aerostat was designed by the Colorado-based Global Near Space Systems, and built by Delaware's ILC Dover -- the company that built and designed the space suits that NASA astronauts used when walking on the Moon in 1969. The Aerostat has to follow Federal Aviation Administration flight rules and must be pulled down out of the sky each night at 11:30 p.m. It is permitted to go back up at 6:30 a.m. The device carries a "technologically-advanced payload," Lott said, which could be configured to carry a camera, communications equipment or other materials. But that payload -- and the powerful camera that has been training its eye on the St. Clair River while the Aerostat has being tested -- is exactly the problem issue for Sarnia residents who already put with surveillance from helicopters, boats, the U.S. Coast Guard, and other patrols along the Ontario-Michigan border. Not to mention the flying drones that will start patrolling the border next year. "It's unbelievable that they think they need this on a friendly nation's border," said Adam Bush, a 24-year-old Sarnia resident who opposes the Aerostat's presence on the other side of the river. But it goes beyond the issue of U.S. defence concerns for many Sarnia residents, who say they simply do not want to be spied upon -- or potentially be spied upon -- by cameras from across the border. Having a camera peering into Sarnia is "a clear violation of our privacy and our sovereignty," said Mayor Mike Bradley, when explaining the issue over the phone to CTV.ca. "It's extremely creepy," said Bush, who has helped organize a cheeky protest against the Aerostat, aptly named "Moon the Balloon." Lott said the Aerostat is, in fact, not spying on anybody and is simply tracking the river, while it is being tested. Bradley, however, is additionally upset that no one in Sarnia was consulted as to whether the city wanted the Aerostat flying over its horizon. He's even written to Prime Minister Stephen Harper, though Bradley said he has not yet received a response about the Aerostat issue. Lott said he has tried to reach out to Bradley about his concerns -- a gesture which the Sarnia mayor acknowledges, though he does not believe that the Aerostat is keeping its camera trained solely on the St. Clair River. "No one here is buying the argument that they are not looking at buildings," Bradley said. Lott insists that the Aerostat is being governed by the "ethical behaviour of an ethical company" and he said Sierra Nevada Corp. is trying to "be as open as we can be" about their operations, inviting TV crews to check out the aircraft and its payload up-close. But the controversy has shown no signs of deflating in Sarnia. On Saturday evening, Bush will head down to the Sarnia waterfront to help lead Moon the Balloon, knowing full well that the Aerostat will not be in the sky. More than 1,400 people have signed up for the protest on a Facebook page, though Bush acknowledges he is not sure how many of them will actually show up. Around 5 p.m., they will form a line, turn their backs to the U.S. border, drop their drawers, and point their rear ends at Michigan. Bradley said he will not be attending, though he knows how upset Sarnia residents are about the issue. "I would say it has engaged the public here," he said. "You know, I am actually a big supporter [of mandatory civil service.] My wife ran AmeriCorps program - national service program - in Chicago." Please comment and subscribe. Thanks for reading. Children and babies with health problems which put them at risk of dying from swine flu are to be offered a vaccine jab within weeks. But there are claims that the programme is being rushed through without sufficient testing. More than 13million people - most with underlying health problems such as heart trouble, chronic lung disease, asthma and diabetes - will be eligible for jabs, starting in October. Mothers-to-be will also be included, along with more than two million front-line health workers. The vaccines are undergoing a fast-track testing process, with trials in England and Europe. However, safety trials will not involve any children under three, despite babies and toddlers with underlying health problems being first in the queue for jabs. Thank you for reading, please subscribe and comment. I decided to ride my Harley to work this week with the “Facist JokerBama” poster on the back. I work at a major satellite TV uplink center here in the Phoenix AZ area. ( I need the job so I cannot say the name). Within 10 minutes of my arrival I was called by the department head and told someone complained to HR and I was “starting a riot”. I was ordered to remove it. As I walked through the parking lot on my way to submitting to corporate tyranny, I observed other bumper stickers on cars that said “GOOD RIDDANCE BUSH: END OF AN ERROR” and “OBAMA BIDEN” as well as others that express a myriad of views from pro-gun to anti-war. After compliance to corporate political correctness I marched into the department head’s office and informed him of the obvious double standard. His answer was I could make my own complaint to HR. I told him I support liberty and freedom of speech. I would never stoop to that level. While hiding the Joker under my desk throughout the day, I asked several co-workers their opinions which overwhelmingly were in favor of liberty. Even Obama voters said they did not like it but I should not have to remove it. Especially from my own vehicle!!! I did have one poor misled chap who said “I have enough white guilt. I don’t need to see that”. I spent several minutes trying to convince him this has nothing to do with race including saying “I would call this man a fascist if he was as white as Jimmy Carter”. This Monday, Obama is coming to Phoenix. I plan on a motorcycle drive by parade of liberty. Thank you for reading and please comment and subscribe. Thankd you for reading, please subscribe and comment. WMTW, a television station in Portland, Maine, owned by Hearst, has produced a slick propaganda piece as part of an emerging effort to stampede people into submitting to a toxic and cancer virus flu vaccine this autumn. On Thursday, Paul Joseph Watson reported on a National Guard “riot scenario” exercise conducted at Oxford Hills Comprehensive High School in Paris, Maine. The school was chosen as a distribution site for the H1N1 flu vaccine by state officials. “The National Guardsmen will take on the roles of panicked citizens and military police and practice what they would do, such as using tear gas, in the case of a riot,” the Sun Journal reported on August 13. Micropaleontologist Dr. Viera Scheibner and others have conducted research into the adverse effects of adjuvants in vaccines and concluded that the an oil-based adjuvant known as squalene is responsible for severe autoimmune diseases and contributed to the cascade of reactions called Gulf War syndrome. A U.S. Federal Judge ruled that there was good cause to believe squalene to be harmful, and he ordered the Pentagon to stop administering it in October 2004 (see Swine Flu Vaccination Poses Serious Threat to Your Health, June 17, 2009). On July 24, Prison Planet reported that an experimental H1N1 vaccine will contain squalene. 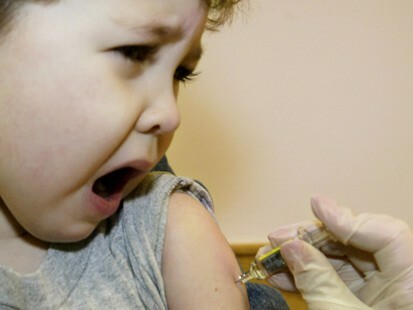 The experimental vaccine is to be tested on 12,000 children nationwide, according to the Oklahoman. The experimental vaccine will be dispensed to the public in the autumn. On August 7, a German health expert warned that the swine flu vaccine developed by pharma giant Novartis will contain cancer viruses. The nutrient solution for the vaccine consists of cancerous cells from animals and “we do not know if there could be an allergic reaction,” Wolfgang Wodarg told Bild. “But more importantly, some people fear that the risk of cancer could be increased by injecting the cells,” Bild reported. A censored WGBH public television (Boston) documentary — produced public health expert Dr. Leonard Horowitz — contains an interview with leading vaccine expert, Dr. Maurice Hilleman, who explains how Merck vaccines have spread AIDS, leukemia and other deadly plagues worldwide. The documentary provides evidence that Merck vaccines have long contained cancer viruses (including SV40 or Simian vacuolating virus 40). If we are to believe the Hearst affiliate WMTW — and Hearst is the progenitor of yellow journalism — people will be rioting this autumn or early winter in order to injected with a deadly vaccine that demolishes the immune system and causes cancer. The reporters and news staff at WMTW may not know it, but they are foisting slick propaganda on a largely unwitting public. The coming H1N1 vaccine is an engineered eugenics weapon. The promised flu pandemic will likely not be on the scale ominously predicted by the CDC and WHO, although it may be large enough to stampede people into lining up for their soft kill vaccination. Please subscribe and comment, thank you for reading. According to a report at syracuse.com, what started out as a routine traffic stop “escalated quickly” when 37-year-old Audra Harmon challenged officer Sean Andrews’ assertion that she had been talking on her cell phone when he pulled her over. Harmon disputed that fact, as well as the officer’s claim that she had been speeding—doing 50 mph in a 45 zone. Harmon had been driving home with her 15-year-old son, whom she had just picked up from wrestling practice, and 5-year-old daughter. She said she was resting her right hand on her cheek as she pulled behind a sheriff’s deputy to make a right turn onto the road where she lived. After she made the turn, the deputy pulled off the road to let her pass, then pulled out behind her with his lights flashing and siren blaring. When Harmon got out of her minivan to show Officer Andrews that she wasn’t in possession of a cell phone, and to ask to see video footage of her allegedly talking on the cell phone she didn’t possess, the officer ordered her to get back in her car. Amazingly, the officer had justified Harmon’s arrest by saying she had obstructed traffic by getting out of her minivan. Harmon is suing the Onondaga County sheriff’s office. Officer Andrews has been taken off street patrol and “reassigned” until an internal affairs investigation is completed, the sheriff’s office said. This video is from Syracuse.com, posted to the Web Aug. 13, 2009. Please comment and subscribe. Thank you for reading. City officials are still determining how much damage the evil Obama as Joker poster has caused hapless victims in Florida. An earlier television report featured citizens complaining how the poster is insensitive to the president and violated their sense of propriety. No word if the police in Clermont are also taking down fliers and posters for garage sales, lost puppies, and make money at home schemes. It appears the suspect is working on a video for Alex Jones’ Obama-Joker contest. In a press release put out late today, Jensen said the suspect “also asked if he could video tape the encounter with the officers.” Clermont Police declined that request, according to the Orlando Sentinel. Meanwhile, contrary to local media reports stating that residents are outraged over the prospect of Obama as the Joker, a central Florida news poll indicates many Floridians support the right to criticize and even parody the president. A screen capture of the poll results follows. Thanks to infowars.com Please comment and subscibe, thank you for reading.